How to fill JNU 2019 Application Form - Jawaharlal Nehru University had released the online application form of JNU entrance exam on March 15, 2019. The application window of JNU application form 2019 was closed on March 18, 2019. The JNU entrance examination will be conducted in computer based mode in collaboration with the National Testing Agency (NTA). Aspirants who wish to seek admission to the different courses must make sure to apply within the time window provided by the university. The application form of JNU 2019 is supposed to be filled and submitted in online mode only, candidates need not send a separate copy of the filled application form to the university. The steps on how to fill JNU 2019 application form provides candidates with the detailed procedure to fill the application form of JNU 2019. Candidates can go through the steps mentioned in the article while filling the application form as it will help in case of any doubts. How to fill application form of JNU 2019 also provides candidates with images to represent each and every step of the application procedure to guide candidates through the process. JNU 2019 will be conducted from May 27 to May 30, 2019. 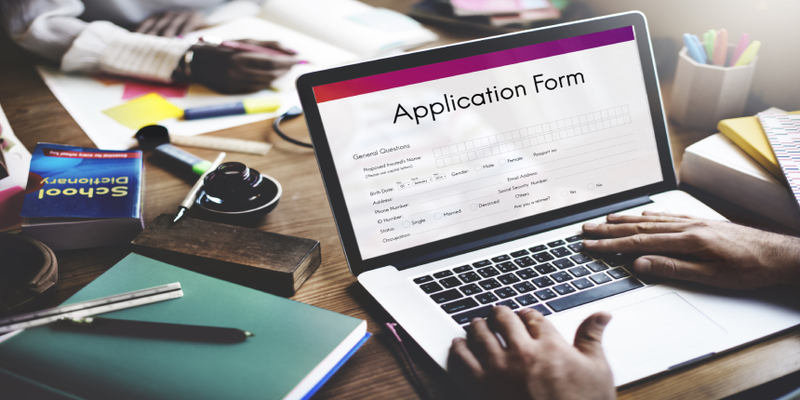 The process of filling the application form can be divided into four steps. Each step will have an image along with the description to help candidates understand the application procedure clearly. The applications form of JNU admission 2019 start with the process of registration. To complete the registration process follow the steps given below. A list of examination will be given. A page containing the declaration and instructions will be displayed. Click on the I Accept Apply Online tab given in the end. Candidates can now enter their Name, Valid Email ID, Mobile Number and programme of choice. After completing the JNU 2019 registration process candidates will now be directed to the application form of JNU 2019. Follow the steps given here to complete the application form. Candidates will be directed to the next page wherein they need to fill in details about their qualifying examination. The details to be entered include Class 10, Class 12, graduation, Post Graduation and any other exams attempted. Candidates must note that the image to be uploaded should not exceed 20-50 KB. The dimensions of the photograph must be 150px width and 200px height while the signature must be of 60px width and 40px height. After uploading the photograph and signature click on the Go to application status page option provided. The application fee of JNU 2019 must be submitted in online mode through the different payment options given. Follow the steps given below for the fee payment process. Enter the application number and and click on the Login button. The fee payment options will be displayed. Candidates can submit the online application fee through credit/debit card or internet banking. Choose the payment mode of your choice and fill up the payment details. Check the amount entered carefully and click on the Submit button. Candidates will receive a confirmation regarding the fee payment. Candidates can now take a print out of the confirmation page. Candidates must note that they need not send the copy of the printed application form to the university. Candidates who want to make any correction in the filled JNU application form 2019 can do the changes by visiting the official website of JNU or NTA from April 22 to April 28, 2019. Candidates can login and make the necessary changes although it must be noted that the category and exam centre fields will be non editable.